- Adblue® dispensing system designed for garages, allows safe refilling of Adblue® into cars. 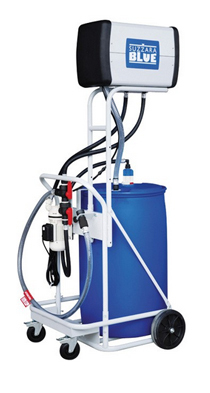 - 200L Adblue® drum (not included) mounts on the sturdy trolley making it a portable system. being delivered into the car. - This system avoids leaks & mess, making it easy to use. - Adblue® cannot be polluted by external pollutants thanks to this new Delphin system. - The air from the car tank is moved to the upper Delphin tank during the refuelling of the car/vehicle. - Check the upper tank level using the visual indicator. - Any excess Adblue® is returned to the 200L drum. 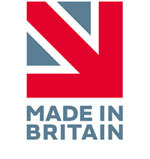 - The push fit filling valve assembly (designed to ISO 22241) connects to the cars Adblue® tank & fills under gravity. - The upper 20L tank has a visual level indicator, allowing teh user to control the amount of liquid delivered into the vehicle.